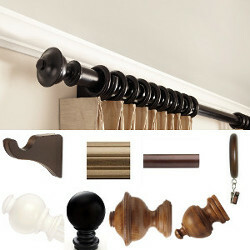 This is a set you can build with four Finial Styles to select from. 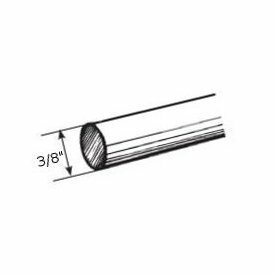 It includes one 8 foot by 3" diameter Wood drapery pole, two 4 1/2" projection bracket holders, one pair of the finial of your choice and 21 rings. All you need to have a complete set ready to install your drapery. Also, you can choose between the smooth finish pole or the fluted style pole. Hugh savings over individual items the set includes. Priced as set. NOTE: Finials in image left to right: Button Ball, Wood Ball, Chaucer and Sherwood.